CHERRY HILL, NJ – Corcentric, a fast-growing provider of procurement and financial process automation solutions, has been named a 2019 Spend Matters Provider to Know. 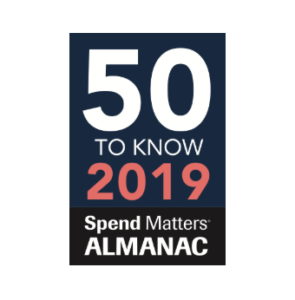 The list, compiled annually by the Spend Matters analyst team, recognizes best-in-class providers and innovators in the procurement and supply chain space. Key business initiatives taken into consideration by the Spend Matters team for this year’s list include Corcentric securing a $200 million senior credit facility, the unification of AmeriQuest Business Services under the Corcentric name, and completion of a number of high-profile partnerships and acquisitions. In 2018, Corcentric was named to the 50 Providers to Watch list and noted as the only provider to integrate procure-to-pay, trade financing, and leveraged buying capability with tangible value propositions for buyers and suppliers alike. Corcentric is a leading provider of procurement and finance solutions that transform how companies purchase, pay, and get paid. Corcentric’s procurement, accounts payable, and accounts receivable solutions empower companies to spend smarter, optimize cash flow, and drive profitability. Corcentric was named a 2018 ’50 Providers to Watch’ by Spend Matters and a leader in IDC MarketScape: Worldwide SaaS and Cloud-Enabled Accounts Payable Automations 2019. Since 1996, more than 6,000 customers from the middle market to the Fortune 1000 have used Corcentric to reduce costs and improve working capital. Learn more at corcentric.com.